If you have any questions about the SEA QUELL information page below please contact us. This sailing yacht SEA QUELL is a 33 metre 109 (ft) well proportioned aluminium vessel which was built at Alloy Yachts and designed by Dubois Naval Architects. Sleeping 8 guests and 4 qualified crew, sailing yacht SEA QUELL used to be Espada-C; Sea Of Oz; Sher-Joy which was her build project name and/or actual name. Ready for launch in the year of 1992 her reasonably modern internal styling illustrates the stately ambience of owner and Trish Mckay. Dubois Naval Architects was the naval architect involved in the formal superyacht design work for SEA QUELL. Her interior design was realised by Trish Mckay. Dubois Naval Architects is also associated with the yacht general design work for this yacht. New Zealand is the country that Alloy Yachts completed their new build sailing yacht in. After the official launch in 1992 in Auckland she was thereafter delivered on to the happy owner following final finishing. A reasonable area is manifested with a widest beam (width) of 7.59 m / 24.9 ft. With a 3m (9.8ft) draught (maximum depth) she is reasonably deep. The material aluminium was used in the building of the hull of the sailing yacht. Her superstructure above deck is fashioned with the use of aluminium. Fitted with a sole LUGGER diesel main engines, SEA QUELL is able to attain a top speed of 13 knots. Coupled to the SEA QUELL engines are a single screw propeller. She also has an economical range of 3500 nautical miles whilst sailing at her cruise speed of 11 knots. Her total HP is 560 HP and her total Kilowatts are 412. For thrusters she utilises Richfield / Stern: Richfield. 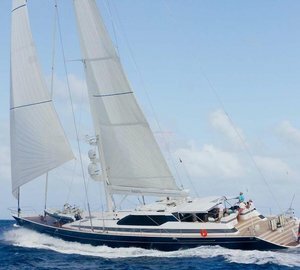 The well sized luxury yacht S/Y SEA QUELL is able to accommodate as many as 8 people and has 4 professional crew. 33.2 metres / 108.9 feet. Total engine power output 560 HP /412 KW. Approximate Cruise Speed is 11 nautical miles per hour. Her top Speed is around 13 knots. 3500 at a speed of 11 knots. Northern Lights 2 times 40 kilowatts. 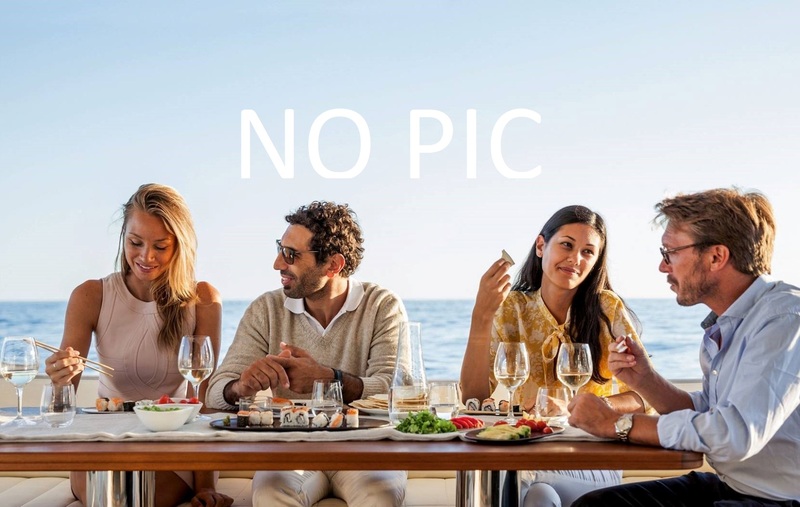 The luxury yacht SEA QUELL displayed on this page is merely informational and she is not necessarily available for yacht charter or for sale, nor is she represented or marketed in anyway by CharterWorld. This web page and the superyacht information contained herein is not contractual. All yacht specifications and informations are displayed in good faith but CharterWorld does not warrant or assume any legal liability or responsibility for the current accuracy, completeness, validity, or usefulness of any superyacht information and/or images displayed. All boat information is subject to change without prior notice and may not be current.